Sometimes even the names parents give their newborns reflect the sense of self-worth of a community. What had always struck social activists working with Musahars were the often strange nomenclatures adopted. Arvind Singh of ActionAid, Lucknow, observed, “We have come across people named Baukh (dumb), Chedhi (hole), Ghura (thrash), Gobar (cow dung), Gheniya (round), Moos (rat), Jowar (coarse grain), Dukhani (one who creates sadness) and Kaur (stalks). But this is slowly changing and now names like Vikas, Nirmala and Satish are becoming common. Earlier, Bindeswari Manjhi, an elder in Ajgarwa tola in East Champaran was called plain ‘Binder’, now he is referred to as ‘Tiwari Mama’. Similarly, 65-year-old Batkari Prasad was always called ‘Batkari’. Today, he is Batkari Prasad or ‘Batkaria Neta’. Equally striking is evidence of a new sense of enterprise within the community. In a meeting of community representatives at Kushinagar recently, Batkari Prasad recalled how his family had been given a patta 20 years ago, but they could only occupy the land until 2007, after a lot of struggle. After the Musahar Vikas Manch (MVP) was formed, the community got the courage to occupy the land allotted to them, and their first act of defiance was to cut the standing harvest and bring it into their homes. Batkari Prasad now rears 20 to 30 goats and does some trading of his own. This year, during the mango season, he along with two others, bought mangoes worth Rs 1 lakh and could sell them for double that amount. “If we have the confidence to stay together and demand our rights united we can change our lives,” Prasad insists. Leaving home helped Musahar boy, Rajesh Prasad, 28, turn into the caterer he is today. 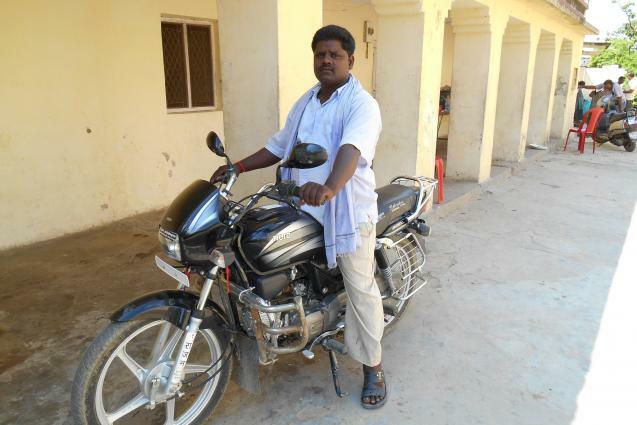 Prasad said he first got the idea of being a cook when his brother’s wedding took place in 2005 and he saw how the man employed to cook the food got to make Rs 500 for his effort. He first worked as a kitchen help in a restaurant in the northeastern state ofAssam. With the money he made he hired a place in the market. Soon he was catering for various functions in and around Kushinagar, including marriages. He said with great confidence that he could turn out anything, from everyday fare like roti-sabzi, to sweetmeats – “mithai mein poora items banana sikha (I learnt to do all the sweetmeats that are on offer),” he interjected. The most recent example of academic success within the community is Shashi Bhushan. He had worked as a MVP volunteer in 2007, when he was on the verge of graduation. He went on to successfully get a Bachelor’s degree in Social Work. He couldn’t do his Masters in Social Work for a while but, in 2013, he got admission into the gender studies course at the reputed Tata Institute of Social Sciences.